Nucleus Signs are a signage leader manufacturing wire rope solutions for some of the worlds most demanding constructions. 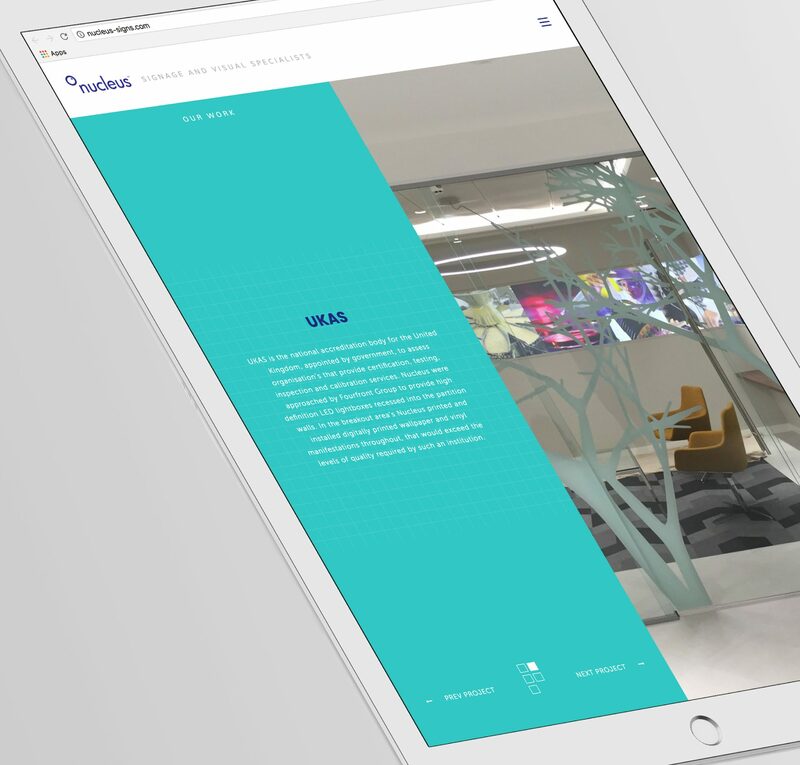 As a new company with years of experience behind them, nucleus signs briefed us to create an experience that inspired users to realise their visual potential. Dealing with design agencies, architects and interior designers, they wanted a website that oozed design credential. We brought the site alive with a vivid blue gradient and insightful case study imagery. With a big bold style, they are sure to stand out in the eyes of creative businesses. We stripped the site back to the bare essentials, no waffle, but just clear facts and information based on years of experience. 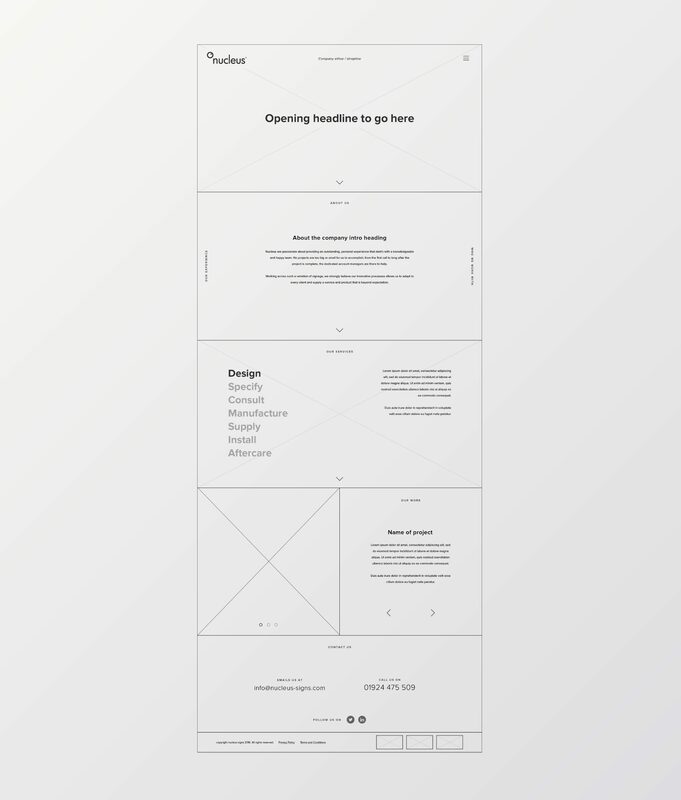 With this in mind, the content needed on the site was such that a creative one page design execution was preferred. 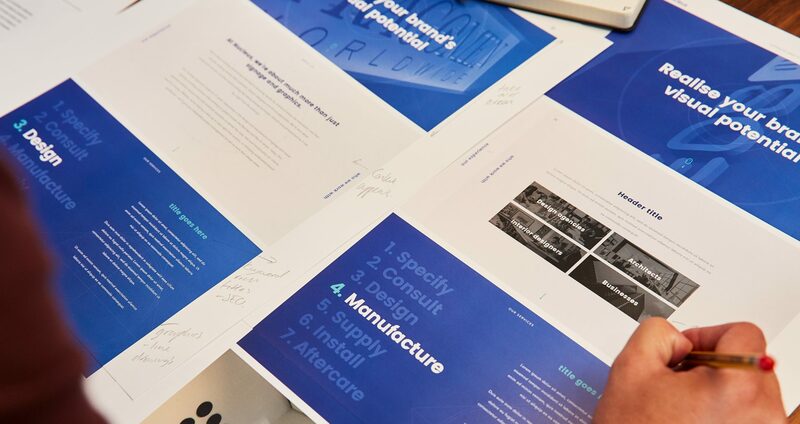 Being highly creative with signage is what they do, so bringing in lots of design elements like grids, printers marks and iconography elevates the site to another level, whilst adding a sense of depth to the design. With animation and movement in web development being so prominent and preferred by designers and developers to aid the user experience, we ensured the site lived up to the designs by building in lots of bespoke effects. The overall experience is a pleasure to use across desktop, tablet and mobile devices.